Description: ﻿Ink-jet printing of light & dark color thermal transfer paper, applicable in any material cotton t-shirt or cotton fabric﻿. Our T-shirt Transfer paper is AW quality, it can not fade washing more than 70 times. 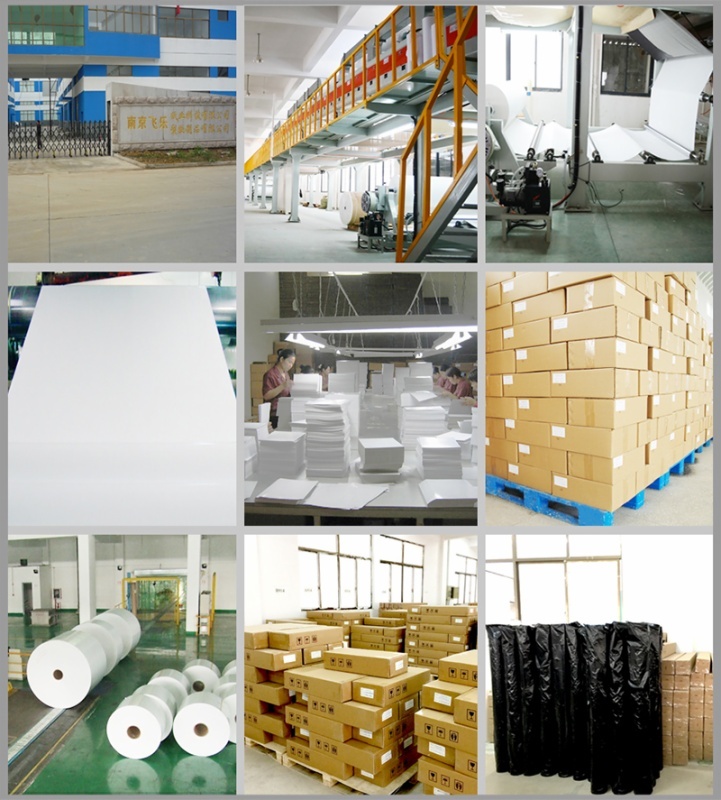 Our T-shirt Transfer paper is AW quality, it can not fade washing more than 70 times. The T-shirt heat transfer paper can easily transfer photo to your cotton cloth by Iron or heat transfer machine. Wear your T-shirt with pride by putting your favourite photo on it. Please kindly note that if your T-shirt is over 30% cotton, you should use T-shirt paper rather than sublimation transfer paper. 1) Choose a smooth, hard surface at waist level or below. You must put all of your weight into the ironing, push down as hard as you can. That is why you do not use an ironing board. 2) Preheat the iron to the highest cotton setting for 3 minutes - do not use warm. Do not use steam (empty all the Water). 3) Place a pillowcase on the hard surface and iron to remove any wrinkles. 4) Place the garment on the center of the pillowcase and iron to ensure flatness. 8) Continue to step press over the entire image. Ensure all edges and corners are firmly pressed. Total ironing time should be 5 to 6 minutes for 8.5 x 11 size image.